A dark indigo wash with clean, tonal stitching is crafted from our coveted super stretch denim and finely tailored into a high rise skinny fit. Read more..
A dark indigo wash with clean, tonal stitching is crafted from our coveted super stretch denim and finely tailored into a high rise skinny fit. The fabric presents a slim silhouette from hip to ankle that effortlessly holds its shape while our exclusive contoured waistband wraps around your natural waist for a perfect, stay-put fit. Intentionally tight fit. Fits true to size, take your normal size. A mid-heel chelsea boot in Italian calf suede. 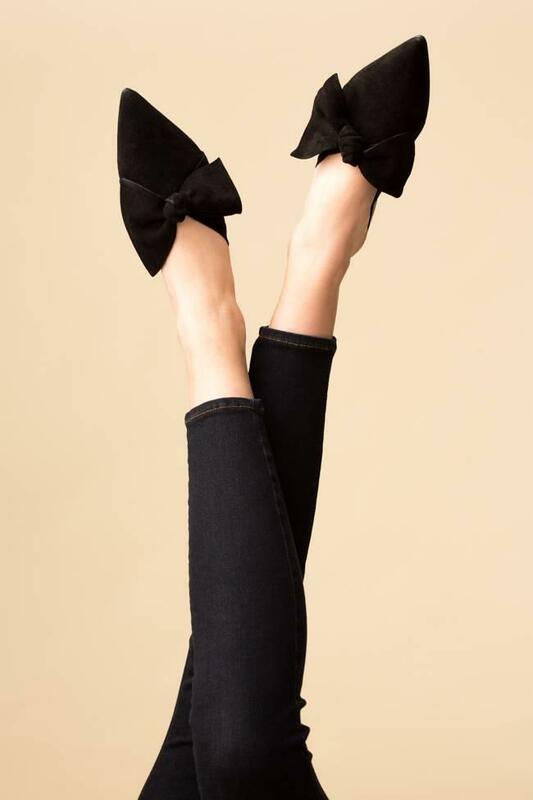 Suede mules with bow detail, and pointed tow.